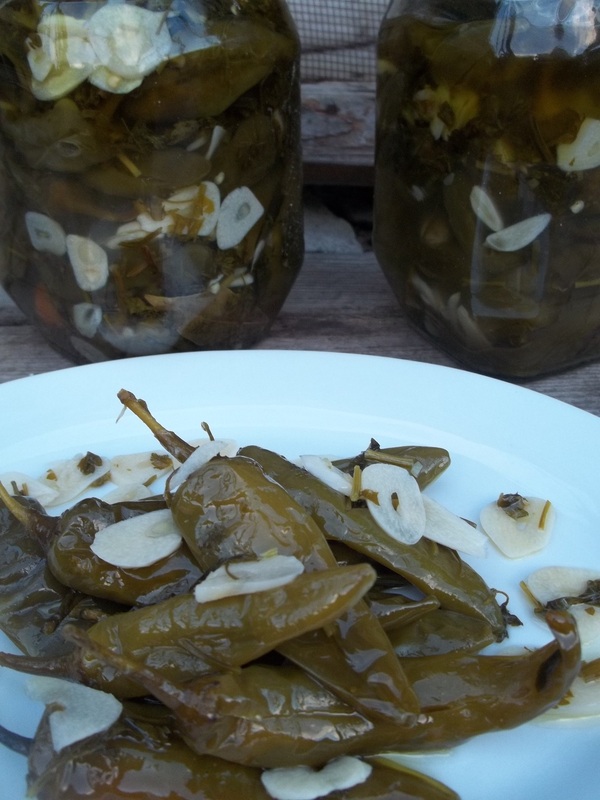 Marinated vegetables are very popular in Georgia and marinated hot peppers are a particular favorite. 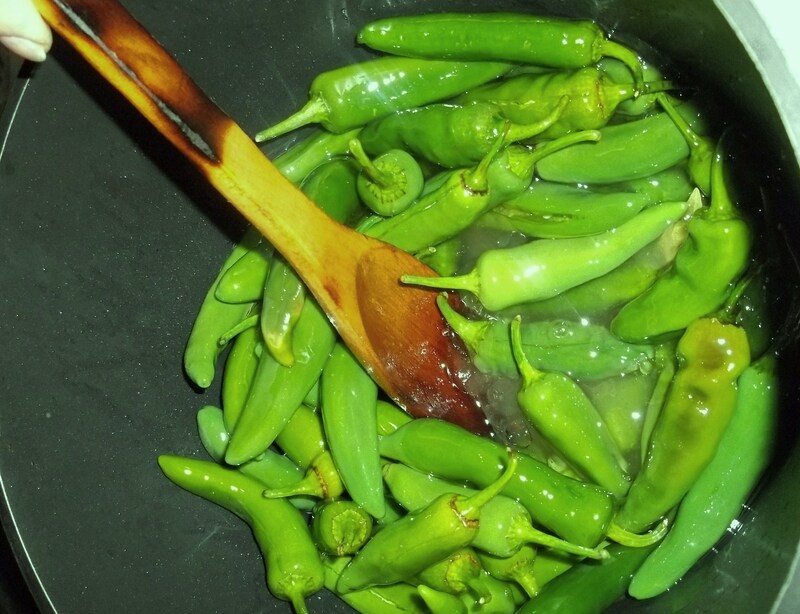 In this family recipe we show how to marinate hot peppers that can be stored for many months. 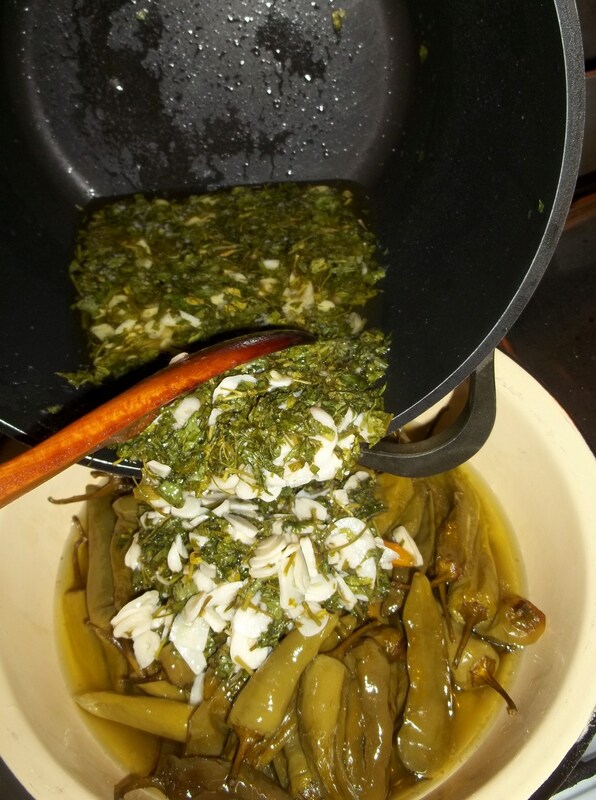 Ingredients: 2.5 kilos of hot peppers, 250 ml of oil, 3 tbs of sugar, 500 ml of white wine vinegar, 5 bay leaves, 150 grams of garlic, salt (amount dependent upon personal preference), 100 grams of celery leaves, 50 grams of parsley. 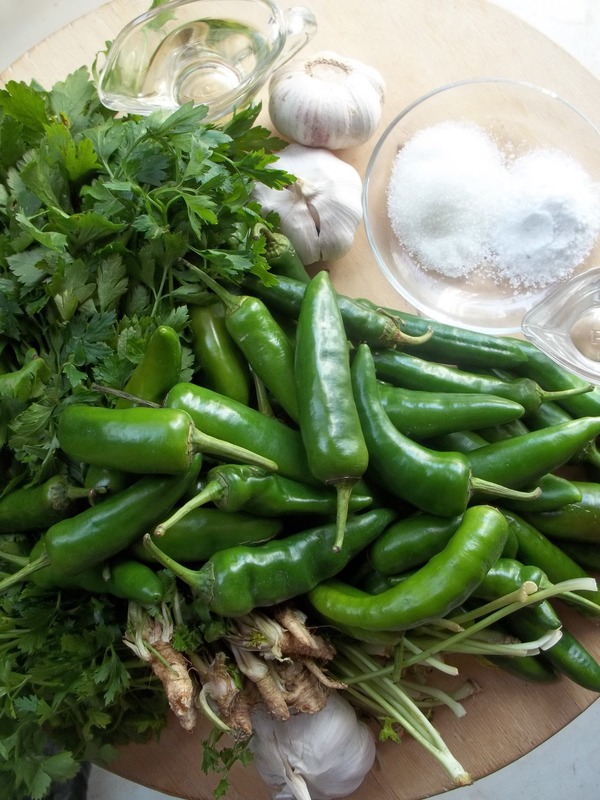 Preparation: Cut one side of each pepper to allow the marinade to be absorbed. 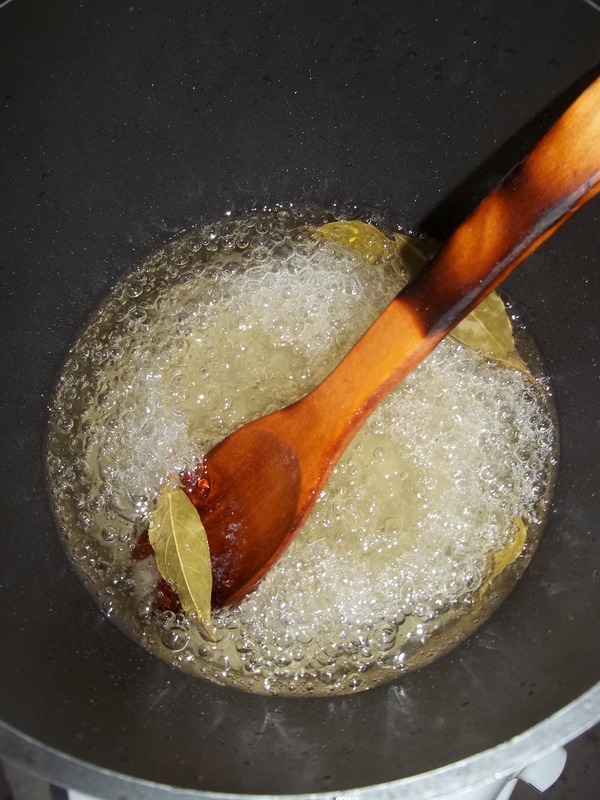 Add the vinegar, oil, sugar, salt and bay leaves to a pot. Bring to the boil on a very low heat, stirring continuously. 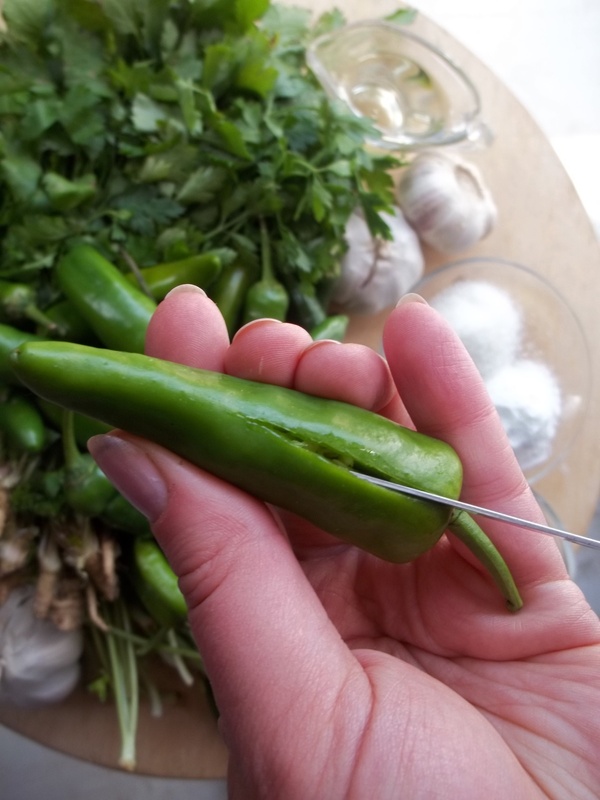 Add half of the peppers and use a wooden spoon to press them down. Boil the peppers for 7-9 minutes, turning the peppers after 2-3 minutes. 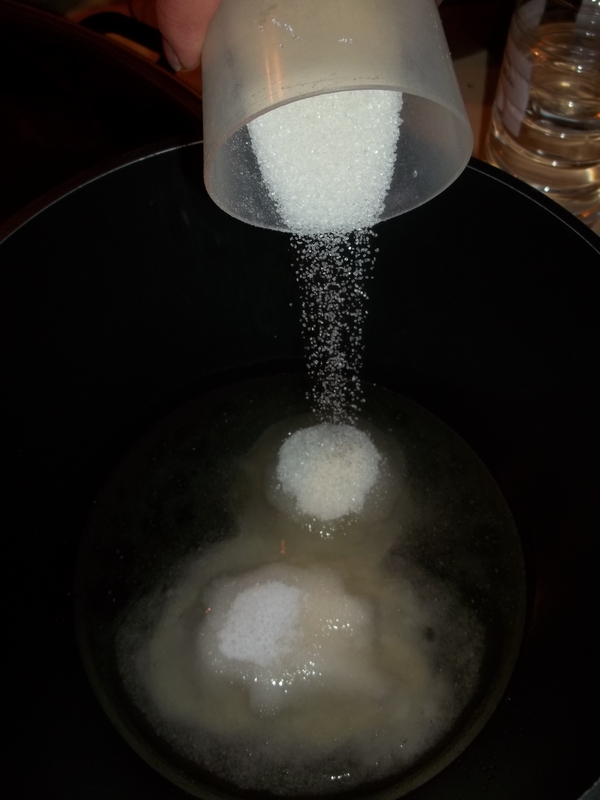 Remove and place in a bowl. Repeat the process with the remaining peppers. Do not discard the liquid. 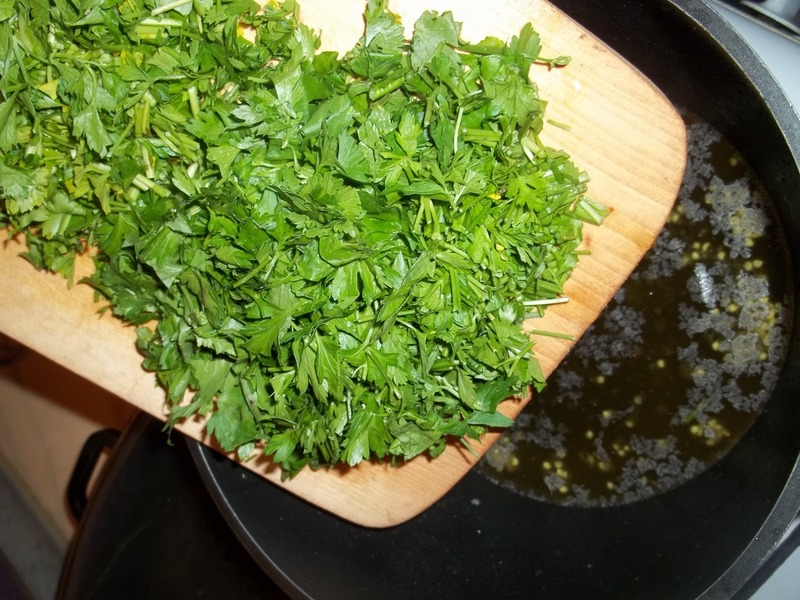 Allow the liquid used to boil the peppers to cool and then add chopped celery leaves and parsley. 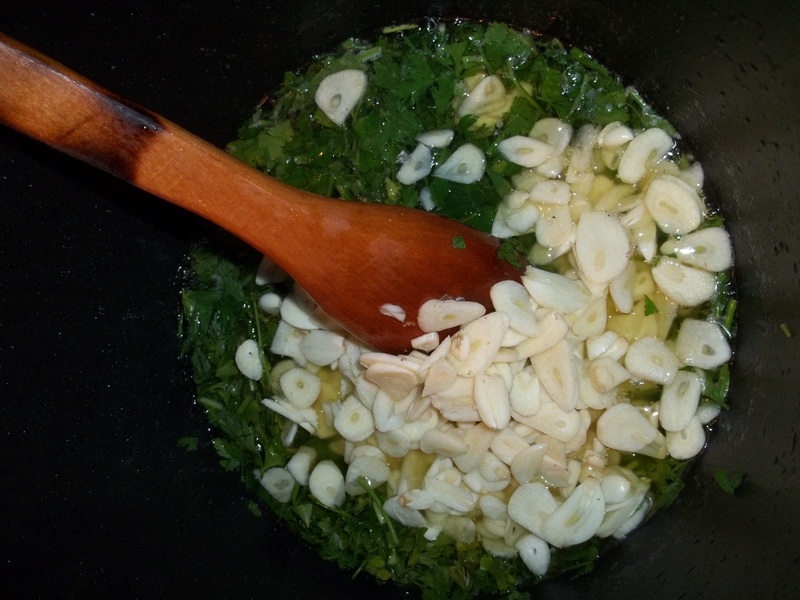 Slice the garlic and add to the pot. Bring to the boil on a very low heat and then simmer for 2-3 minutes. Pour the mixture onto the peppers. Leave in a refrigerator for 1 day. The marinated peppers can then be put into sealed jars. When doing this, press the peppers into the jar and then top up each jar with some of the remaining marinade before sealing. 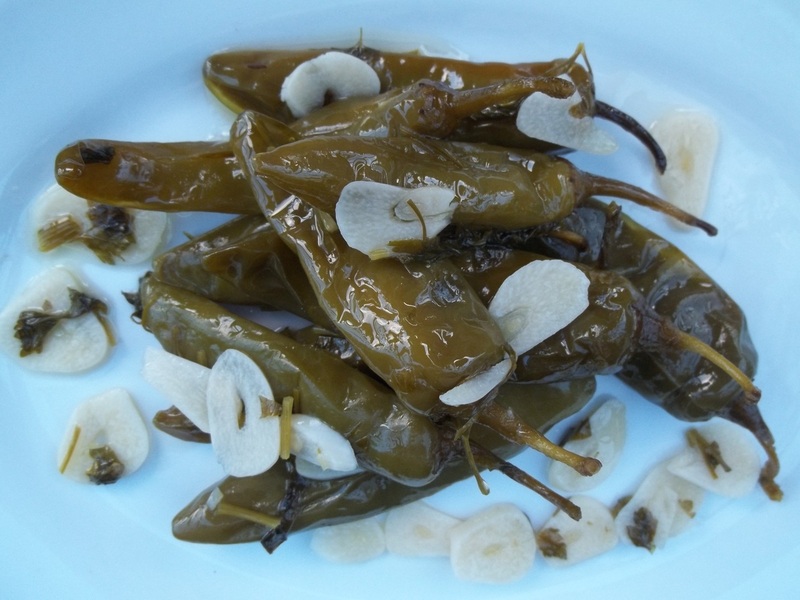 Serving: Marinated hot peppers are delicious with lobio and also with meat, especially pork, beef and lamb. 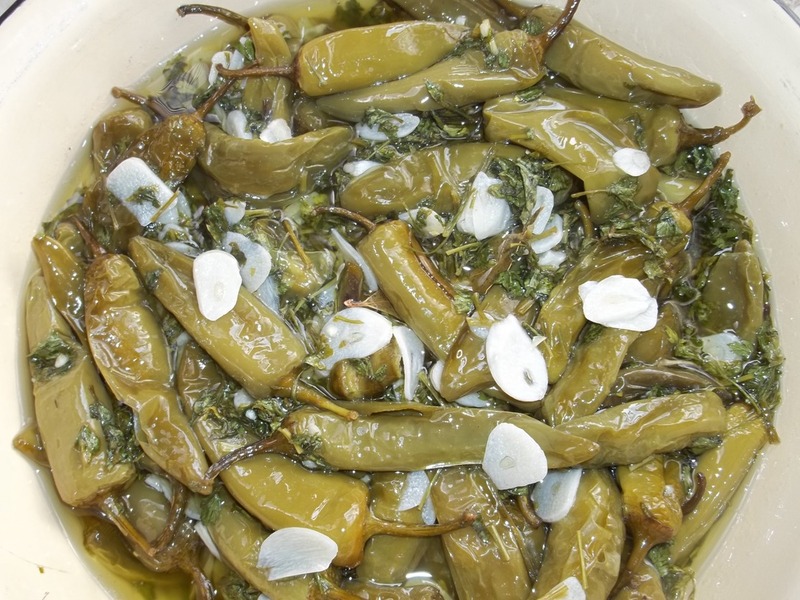 Enjoy your Marinated Hot Peppers!